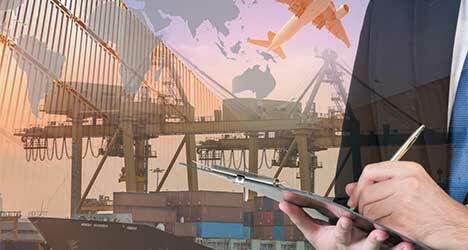 The Australian Government provides assistance to industries in many ways – including through tariffs on imported goods, budgetary outlays, tax concessions, and regulatory restrictions on competition. Assistance is provided for a range of reasons. Some types of assistance, such as for R&D and measures aimed at meeting environmental objectives, may be designed to deliver net community benefits that markets, left alone, would not realise. Often, however, assistance measures are intended to favour some industries over others, to the detriment of the community as a whole. And sometimes measures that governments claim to serve the public interest actually favour specific groups. While industry assistance benefits the firms or industries that receive it, it imposes costs on other sectors of the economy. For example, direct business subsidies increase returns to recipient firms and industries. However, to fund the subsidies, governments increase taxes and charges, or cut back on other spending. Similarly, tariffs shelter domestic goods producers from international competition, but they result in higher input costs for other local businesses, reducing the competitiveness of those businesses. They also effectively tax consumers by imposing higher prices on the goods subject to the tariff, leaving them with less money to spend on other goods and services. Total industry assistance was significantly higher in 2016-17 than in previous years, with tax concessions increasing the most. For 2016-17, Australian Government assistance to industry was estimated at $19.3 billion in gross terms. This comprised $6.8 billion in gross tariff assistance, $5.3 billion of budgetary outlays, and $7.2 billion in tax concessions. Net assistance (after accounting for the cost to Australian business of tariffs on imported inputs) was $13.4 billion – an increase of over $4 billion (or 24 per cent) on 2015-16. The largest contribution to the increase is the expansion in small business tax cuts. While some may question whether these cuts are industry assistance, they advantage one form of business over another, and if they continue to apply only to small business, they will skew investment and harm the economy over time. Manufacturing receives the highest level of assistance due mainly to tariff assistance. The services sector records much lower net assistance, as it incurs about two thirds of the input cost penalty resulting from manufacturing tariffs. There has been a recent trend towards delivering industry assistance through government finance facilities that extend credit to businesses or provide guarantees for their commercial loans. These include the Northern Australia Infrastructure Facility, the Defence Export Facility, the National Water Infrastructure Loan Facility and the Farm Business Concessional Loans Scheme. In total, these decisions will provide up to $12.8 billion in business finance. The Commission has not assessed the costs and benefits of each program. However, Australia has relatively deep and liquid financial markets. Proponents of taxpayer-funded financing of commercial projects should demonstrate how this serves the public interest. Even where there is a convincing argument for government assistance, use of financing, as opposed to other policy options, should be explained. In light of the past poor performance of similar schemes, these new financing measures should be reviewed early in their operation to ensure they genuinely make Australians better off, and that they do not merely benefit project proponents. Moreover, there should be strict requirements for transparency and due diligence in providing finance. Rising protectionism – how should Australia respond? imposition of tariffs on steel and aluminium imports into the USA from a range of countries on national security grounds, but suspending application as negotiating leverage. further tariffs on imports from China, related to concerns about intellectual property rights. Commission Chairman Peter Harris emphasised that ‘Australia’s interests clearly lie in resisting this protectionist trend. Trade liberalisation has contributed to Australia’s economic resilience, enabling over 25 years of uninterrupted growth, despite major disruptive events such as the GFC and the Asian Financial Crisis’. Should global protectionist trends increase, Australia may face intense pressure to increase its own barriers to international trade and investment. The Commission’s analysis shows there would be no economic justification for joining such a trade war. Rather, Australia would still benefit from continuing to pursue freer markets and improving the functioning of the rules based international trading system. strengthening Australia’s reputation as an attractive destination for international investors through more consistent, transparent and predictable foreign investment approval processes while preserving our national security interests.